Polycom, Inc. has announced the availability of the Polycom RealPresence Utility Cart 500 and the Polycom RealPresence EduCart 500 in India – two new video-enabled solutions, designed specifically for use in the enterprise and education sectors. These packaged solutions from Polycom are standalone units, which allow users to easily bring High Definition room-based video conferencing and content sharing to a variety of locations beyond a dedicated conference room. The units have been designed to provide an affordable, mobile solution for customers looking to implement video collaboration in any available space of their choice across their business or education environment. In addition, the carts can be customised with peripherals such as HD document cameras or projectors, for use in detailed inspections and presentations. The RealPresence Utility Cart 500 provides a high-quality video collaboration solution, featuring Polycom’s RealPresence Group 500 series video system and Polycom EagleEye IV cameras. For applications such as detailed product inspections, and remote expert consultations, the solution provides a breakthrough user experience, allowing the video and audio system to be easily moved from location to location. This flexibility allows for video collaboration solution to be enabled across several industries and business functions – from quality inspections in manufacturing and stock control in retail, to site and equipment inspections in oil and gas and construction. Among the cart’s standard features are a single 27-inch or dual 22-inch 1080p full HD LED backlit monitors, mounting points for wireless access, and an access panel that includes two USB ports, HDMI, VGA and audio from codec, for multiple peripheral connectivity. The battery module gives up to five hours of operation, and is available in 110 or 230 volt AC versions. For easy maneuverability and durability, the Utility Cart 500 also comes fitted with sturdy stainless steel handles, and five casters for enhanced stability. “The Utility Cart can, for example, enable a manufacturing floor technician to move HD video to a specific area in the plant, and connect an external camera to view and share details or components not easily accessible to external parties. This capability can allow remote experts to overcome the obstacle of distance and enhances productivity and drives efficiency in the manufacturing process, with impact to the bottom line,” said Sandberg. Designed specifically for classrooms and training departments, the RealPresence EduCart 500 is a videoconferencing solution for use in education environments. This includes distance learning, teacher conferences, virtual field trips, and enhanced individual and group learning with remote experts. The cart features adjustable screen height and high-powered amplified speakers, allowing clear audio in large classrooms or lecture theatres, and provides the flexibility to easily move the unit to different classrooms or campus locations. The electronics and power for the unit are integrated behind a protective metal shield to avoid tampering. The cart is also safely-designed to be a self-contained unit, avoiding numerous wires around a classroom, and equipped with a dual pole to ensure maximum stability. August 2014: India Inc. has stepped up hiring; it’s raining jobs. And this time giving steady teddies a run for their money are internet start-ups which have posted a 25 per cent rise in jobs in just a month. So even if you have over 15 years experience, start-ups are actively looking for you. There has been an over 100 per cent rise in jobs at senior level positions in start-ups. Even discounting the low base for this role, this translates into a serious hiring binge. E-commerce, retail services, media and hospitality professionals have never had it so good. E-commerce majors such as Snapdeal, Flipkart and Amazon have stepped up hiring in the last one month. 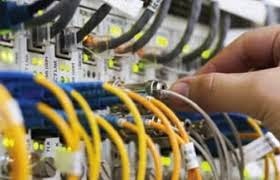 Engineers, quality and process specialists too are now in demand; and reported over 50 per cent growth in demand in this period. This does not mean that traditional job roles have fallen by the wayside. The top hiring industries in India by volume, outside of the ubiquitous IT sector, are Healthcare, Petrochemicals/Oil and Gas, Consumer Durables/FMCG and Automobiles/Auto Ancillaries. 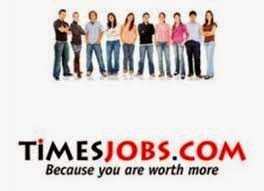 On the back of such strong drivers, Recruitex, the TimesJobs.com’s Jobs Index, reported a strong growth story in July 2014, with an overall increase of 15 per cent demand for talent over June 2014. From core to support functions, all major professions reported a surge in demand in July 2014. According to TimesJobs RecruiteX, retail services and hospitality professionals reported the highest demand with an increase of 30 per cent in month-over-month analysis. Content Editors/journalists and entertainment/media/journalism professionals were also in demand. While Bangalore became the top hiring location for start-ups and emerging businesses, Chennai, Hyderabad, Delhi NCR and Pune emerged as top hiring locations for traditional industries in July 2014. Mid-level professionals with 5-20 years experience led the hiring trend during this period. In recognition of India Public Services sector in driving excellence and innovation using information technology, to improve the lives of people and deliver better, more effective government, SAP today felicitated 16 Indian enterprises with the SAP Awards for Customer Excellence (ACE) for being at the forefront. 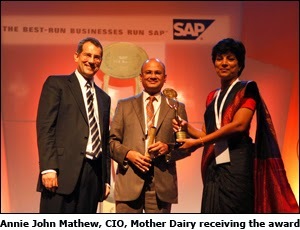 The awards were presented at the eight SAP ACE Award ceremony held at JW Marriot in New Delhi, India. 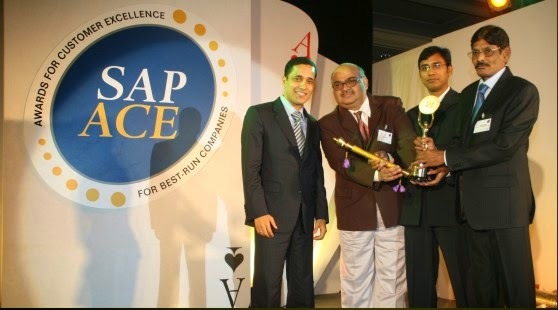 The SAP ACE 2014 for Public Services award categories included Utilities, HR & Payroll, Mobility, Procurement, Finance, Urban local bodies, Innovation and Database computing. SAP also gave special recognition awards to customers using SAP solutions in an innovative way and customers to highlight their achievements attained with the power of cloud technology. The award honoured Indian public services organisations that became the differentiator in improving people’s lives and help urban governments to be best run governments and to help cities contribute to a better run country. Having become a unique and proud legacy of SAP Indian Subcontinent, ACE, over the years, has become a hallmark of our customers’ vision and commitment. The event witnessed an exceptional participation with a total of 47 nominations across 12 different categories. As part of the diligent and impartial process, the assessment involved thorough evaluation of front running nominees by an eminent jury. The jury panel included Renu Budhiraja, Sr. Director, e-Governance Department of Electronics & Information Technology ,Government of India, Prem Narayan, Director (Foreign Procurement), Ministry of Railways, Government of India, A S Bhal, Economic Adviser, Ministry of Urban Development, Government of India, Mr. Y. M Gadkari , Chief General Manager (IT), Maharashtra State Electricity Distribution Company Limited, Mumbai, Maharashtra, and M.P.Gupta, PhD Professor, & Chair-Informations Systems & E-gov, Department of Management Studies, IIT Delhi. Rackspace, a leading Managed Cloud company, has announced Shaadi.com, the world’s largest matrimonial website is using Rackspace dedicated hosting. Based in India, Shaadi.com manages over 200 million page views per month and over 10,000 registrations daily. Beginning with one Rackspace server in 1998, Shaadi.com has grown exponentially since its initial deployment. Sixteen years ago, Shaadi.com saw an opportunity to build the world’s largest online matrimonial site and create an online experience that would match and heighten the traditional dating experience in India. 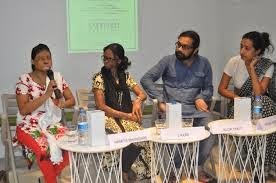 Today, 30 million people use Shaadi.com, 3.2 million members have found their matches through the site and the company has built over 100 matchmaking centres across 87 cities in India. To meet this challenge, Shaadi.com turned to Rackspace for its high-performance dedicated servers, which provide the processing speed required to help meet daily business needs. With Shaadi.com running millions of daily, complex personalized searches serving millions of users on the site, Shaadi.com needed industry-leading, expertise and superb performance to manage this heavy compute burden, which takes up vast amounts of power. 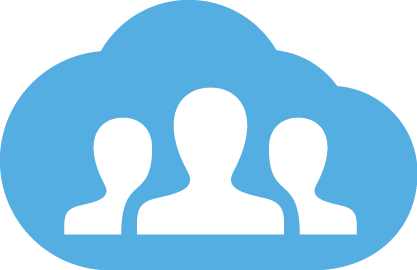 With Rackspace’s powerful cloud services systems in place, Shaadi.com only uses 30 servers to run complex searches and successfully match users. This has resulted in significant cost savings for the company. While reliability and scalability initially attracted Shaadi.com to Rackspace, Fanatical Support is what made the company a satisfied customer for almost two decades. With Rackspace support, the site has been recognized for countless website awards, including; ‘Most Innovative Company in India of 2011’ by Fast Company, USA, ‘The Best Matrimonial Site’ by About.com’s Reader’s Choice and ‘Most User Friendly Website’ and ‘Most Preferred Online Matchmaking Brand’ by Juxt Consult.